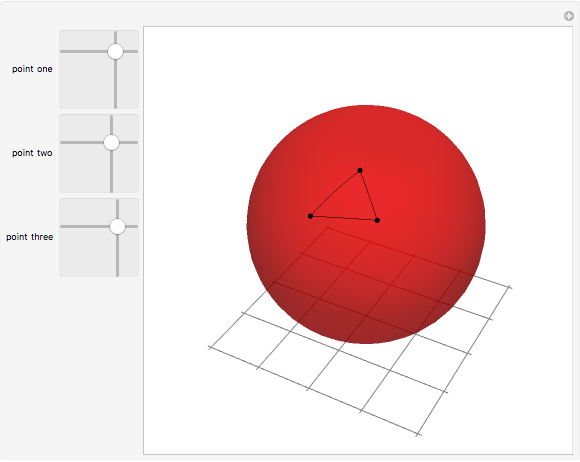 This Demonstration shows a spherical triangle. 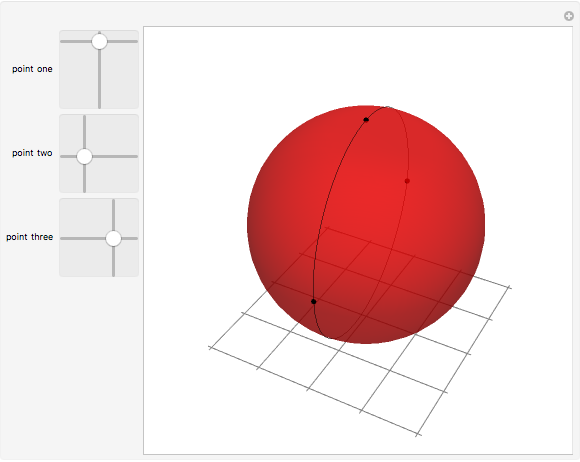 Three 2D sliders on the left control the vertices with spherical coordinates and sliding horizontally from 0 to 360° and vertically from 0 to 180°, respectively. Geometry on a sphere is a noneuclidean geometry. 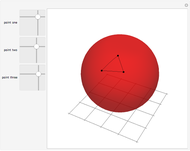 Straight lines are represented as great circles and edges of a spherical triangle are parts of these great circles. The sum of the angles of a spherical triangle is always greater than 180°. Borut Levart "Triangles on a Sphere"